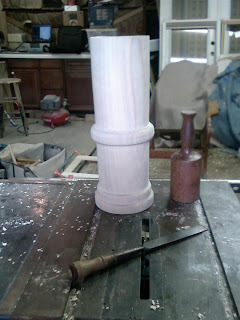 A customer asked me recently to extend an Asian Pagoda outdoor sculpture for him with a turning. 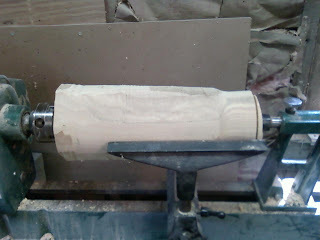 I decided to use a local wood called locust for the turning because of its natural ability to brave the elements. 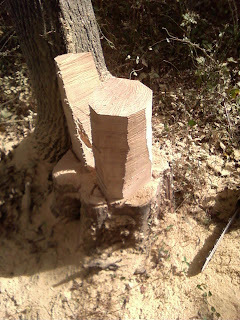 Locust has traditionally been used for fence posts and there is an old saying that says "Locust lasts 50 years less than stone." Another nice quality of locust is that when left outside it turns a nice gray color that we hope will match the granite color of the sculpture. 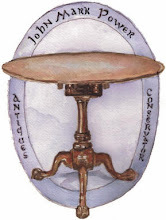 the turning was to be 5 to 6 inches in diameter and a piece of turning stock of this size is difficult to buy, regardless of the species. 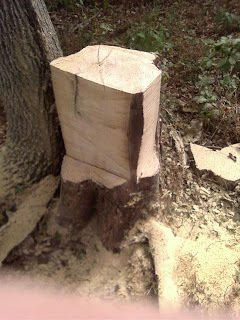 As a result, I decided to harvest the blank from a Locust stump in the woods. 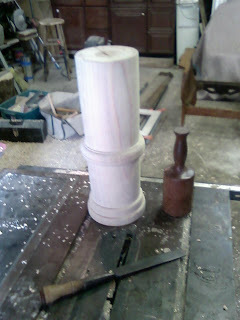 Below are photos off the process. 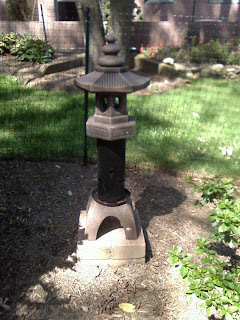 The Pagoda sculpture with a bird feeder put temporarily in the center to get a sense of it with a column.